I’m in love with this dress. I find it perfect for everything from attending a rehearsal dinner to a day at the beach. 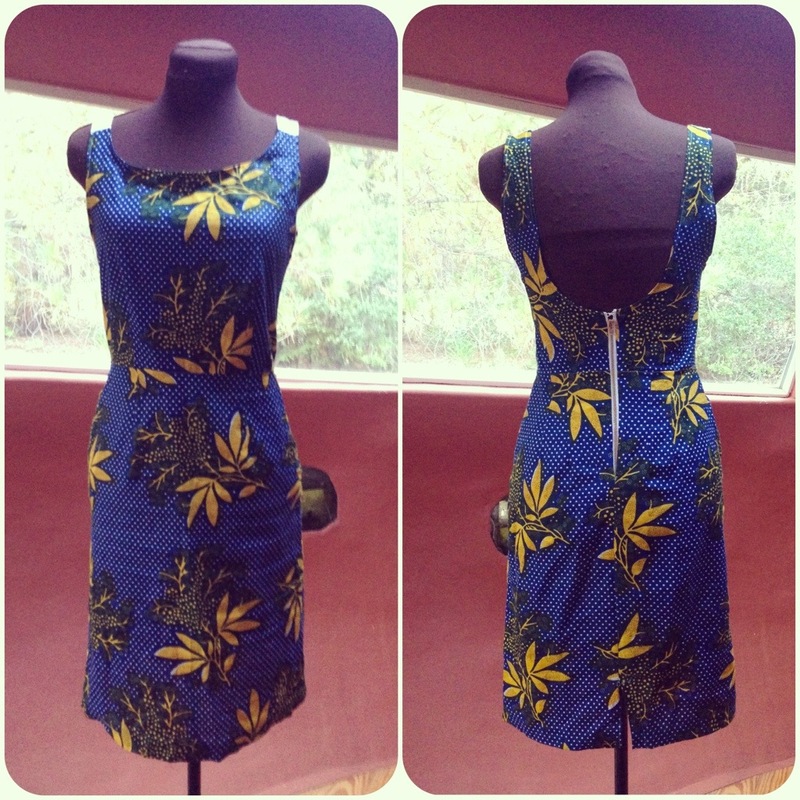 This handmade, one-of-a-kind fitted dress is made of African wax print fabric. It features a low back and expanded arm holes with white fabric at the shoulders. Size 4. Custom orders available. Love it! Is it lined? African wax fabric is usually non-transparent, in my experience with it.